Preheat your Yoder Smokers YS640 to 400ºF. 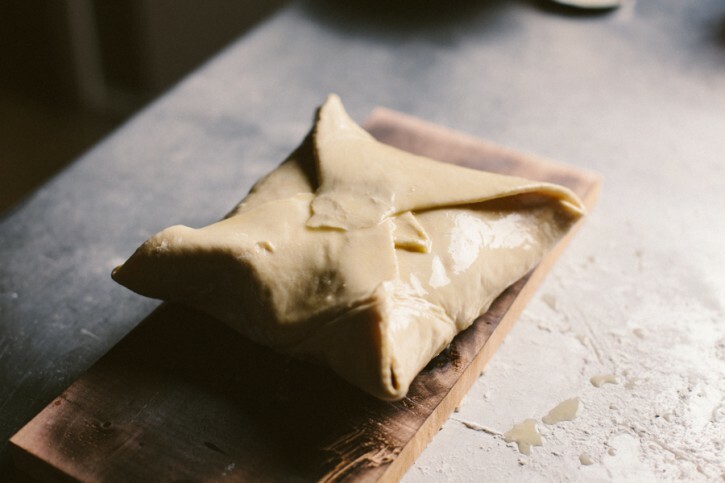 Lay the puff pastry out on your work surface. 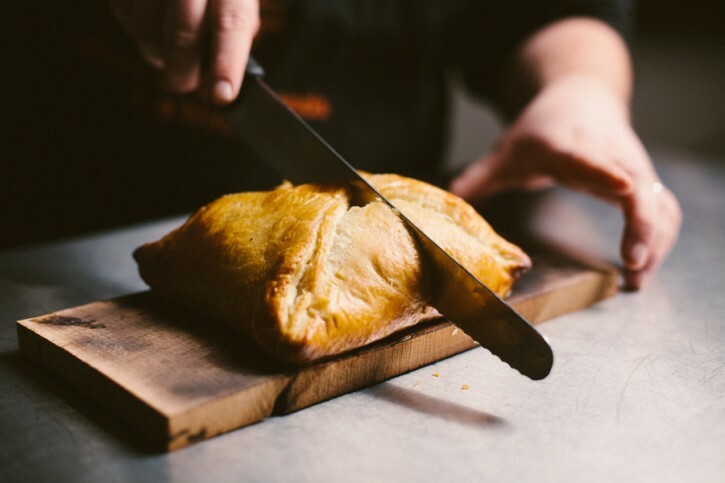 Place the wheel of brie in the center of the pastry. Top with ChiliDawg’s Peachbanero Pepper Spread. Pull the corners of the pastry over the brie to the center of the wheel. 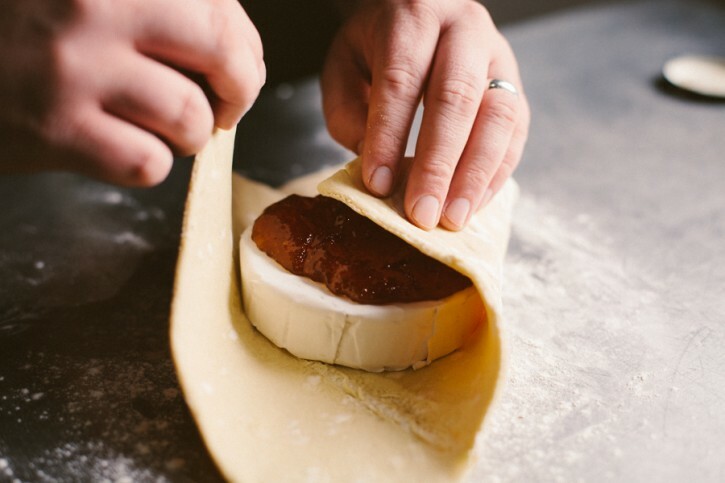 Smash the corners together to seal them together, encasing the cheese and jam. Place the pastry on a parchment lined sheet pan or wooden grilling plank. Whisk the egg with a tablespoon of water. Brush the egg on top of the pastry. Bake until the pastry is cooked through and begins to brown, about 30 minutes. 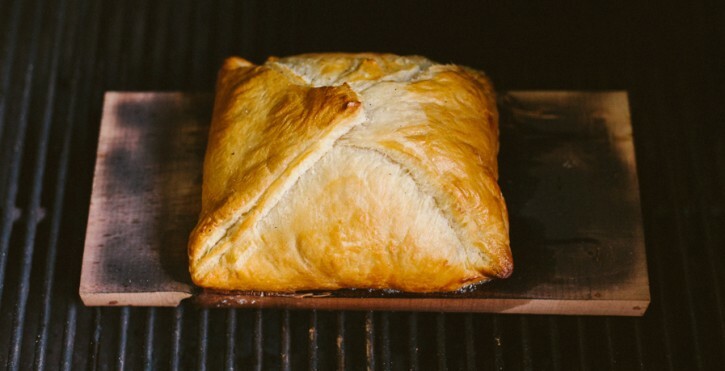 I’ve been preaching the value of keeping your freezer stocked with puff pastry for some time now, and this recipe is another great reason why. It’s a perfect winter party snack. Just the thing to feed a few friends during a football game. 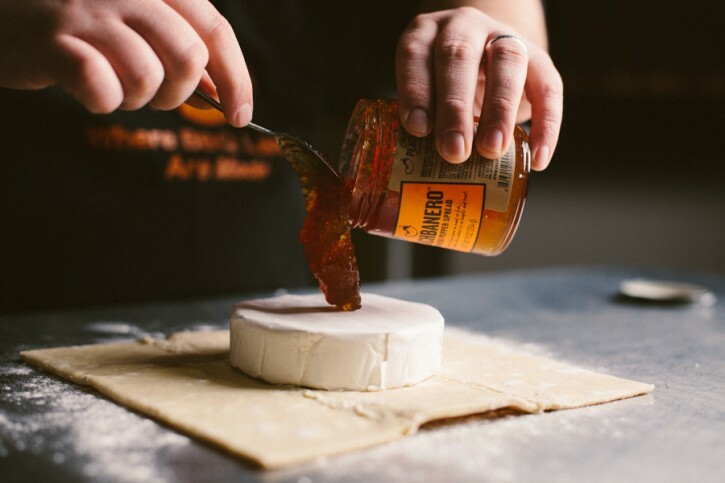 We’re baking on a maple plank that’s been torched to give the pastry a little extra smokiness. 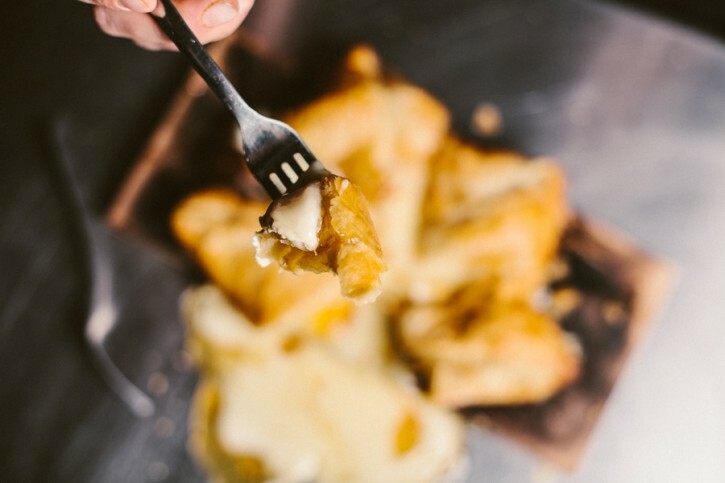 Be forewarned, the sweet and creamy filling is going to be a sweet and creamy mess. Make sure the whole thing is on a plate or serving platter before slicing it open.